How do I print communications? Details of what communications can be printed out on ClassTag and instructions on how to do it. 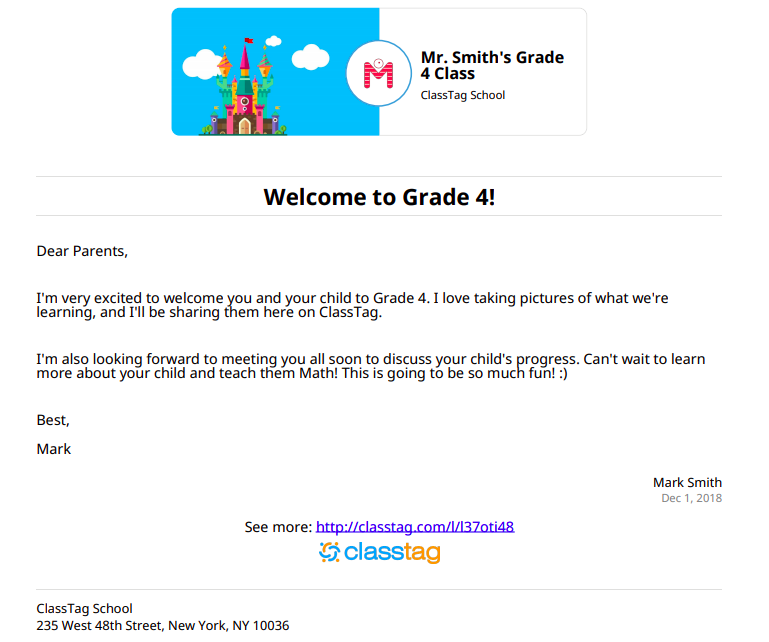 With ClassTag, you can now reach parents across all possible channels. 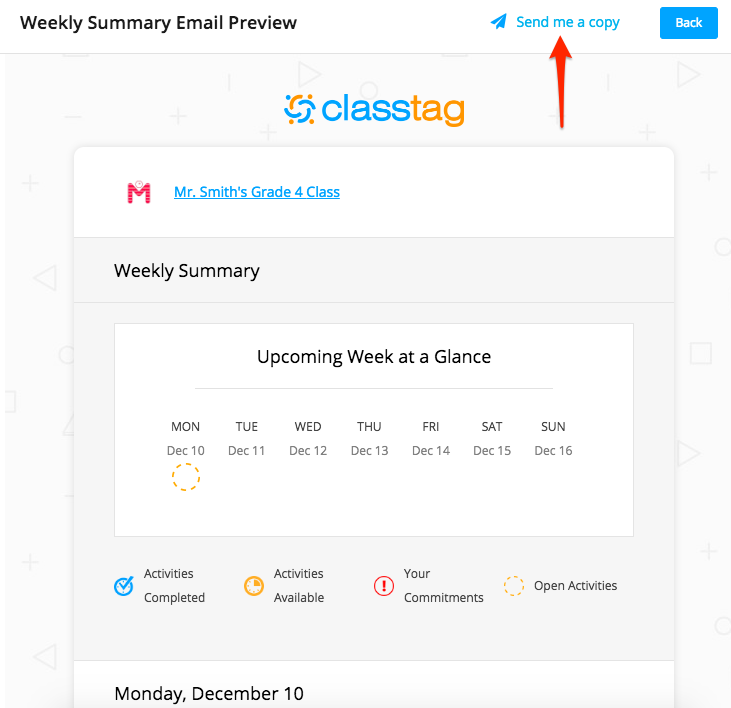 In addition to web, mobile app and email, with ClassTag you have SMS and even printouts that you can send home for families who are not otherwise reading the communications. While SMS or email communication is according to a parent's choice or available contact information in ClassTag, printed communication is a great addition to your toolkit and will not substitute any other means of communication. 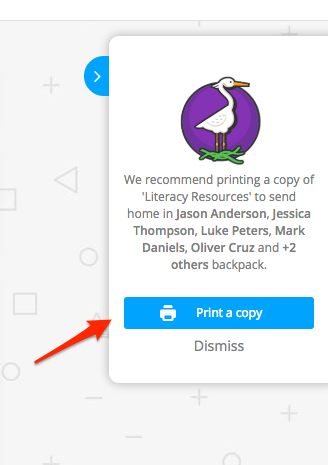 You can print any Announcement from your “Home” tab by clicking on the little gear icon next to the specific announcement you want to print out. Once you click print, you will get a customized pdf flyer as shown below to send to parents. Note that it is specifically designed to match your class and school style with the header image and avatar and will use one or the other depending on who sent the announcement. Coming soon! As a workaround, you can send an email of the Weekly Summary to yourself and print it from there. Please follow these instructions. Click “Weekly Summary” and then click “Preview Email”. 2. Click “Send me a copy”. 3. Look for the email and print a copy. 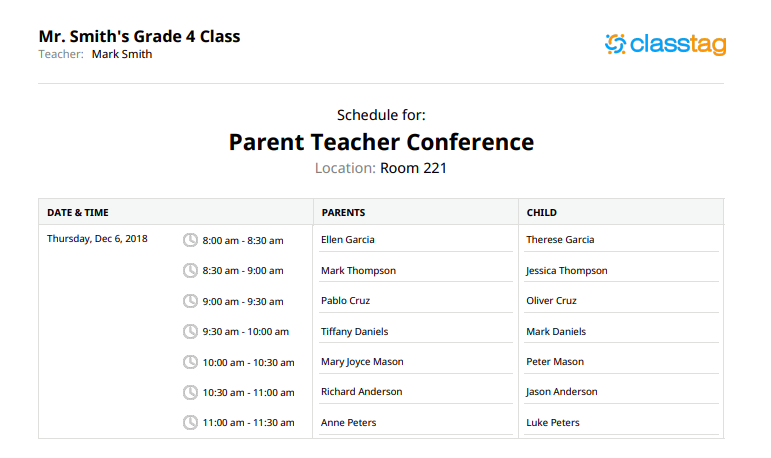 You can print your schedule for Parent Teacher Conferences for easy tracking, to share with other teachers or to put it on the door so families will know the schedule. In order to print the schedule, please follow these steps. 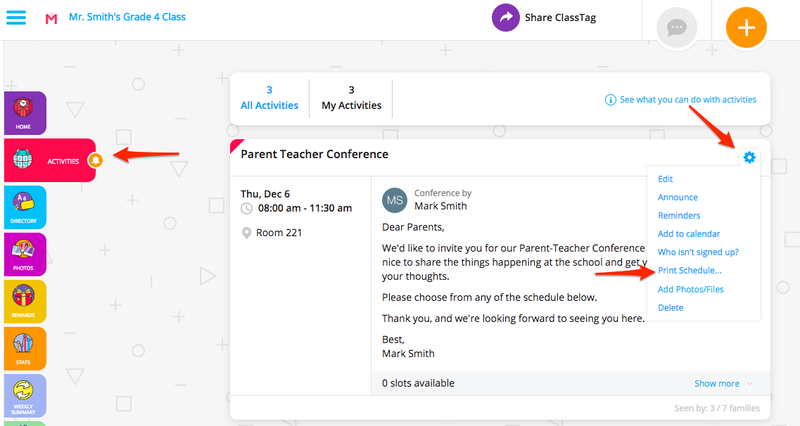 Click “Activities”, look for the Parent-Teacher Conference, click the gear icon and then click “Print Schedule”. 2. Once you click print, you will get a customized pdf flyer as shown below for your Parent Teacher Conferences. The schedule would always reflect the latest status based on the signups you have. You can print it as many times as you need. At ClassTag, we want to help you reach every parent and understand you are very pressed for time. That is why we have a a personal smart assistant that will learn to do more and more things to help you manage parent communications. As a first step, your assistant will let you know which families are not reading communications and recommend to send them a printed flyer. 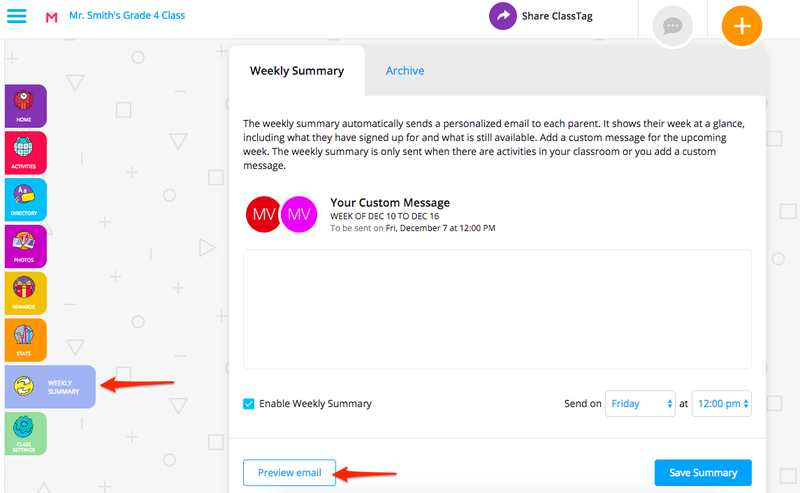 Once you send an announcement or weekly summary, you will see a pop up with a suggestion to print for specific families. 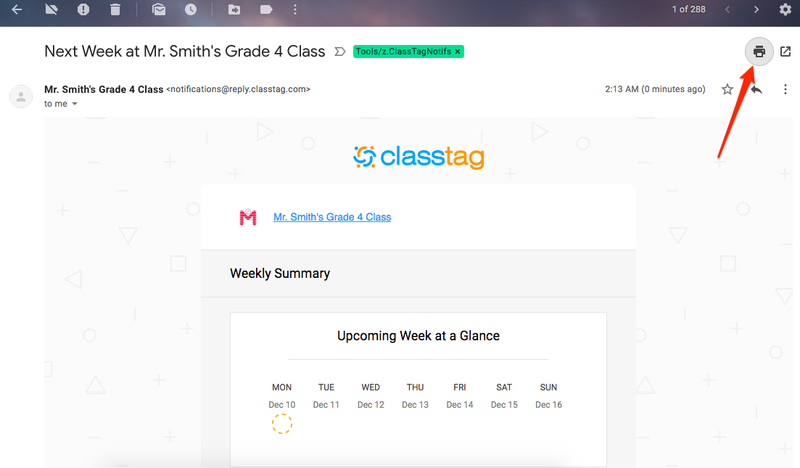 What communications can I do with ClassTag? How do I use the 'Stats' page?